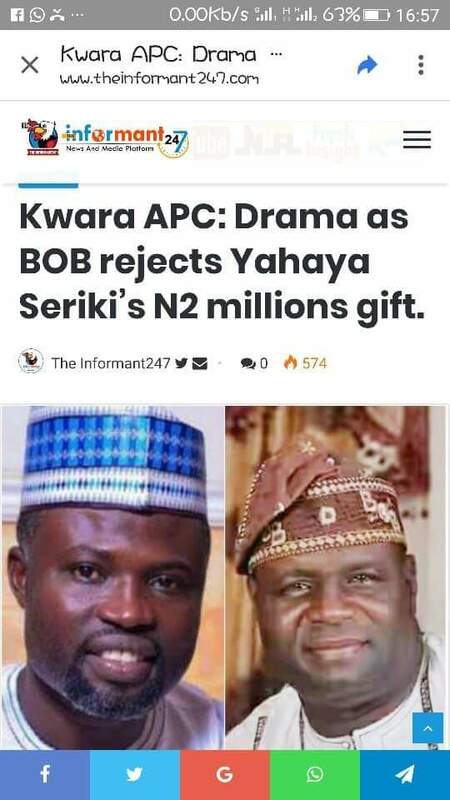 The reporters of a popular kwara online news platform, Informant247 were yesterday arrested by Yahaya Seriki, a gubernatorial aspirant under the umbrella of All Progressives Congress, APC, in Ilorin over a news published by the medium. 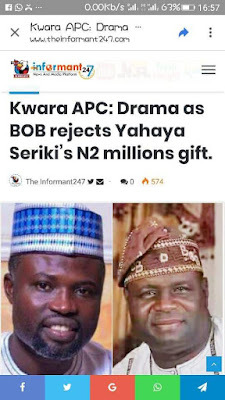 According to the news by informant247, Mr Yahaya Seriki popularly known as Ambassador was said to have allegedly presented the total sum of N2,000,000 as a gift to the APC Chairman, Hon. Bashir Omolaja Bolarinwa (BOB); of which the money was rejected by the APC chieftain..